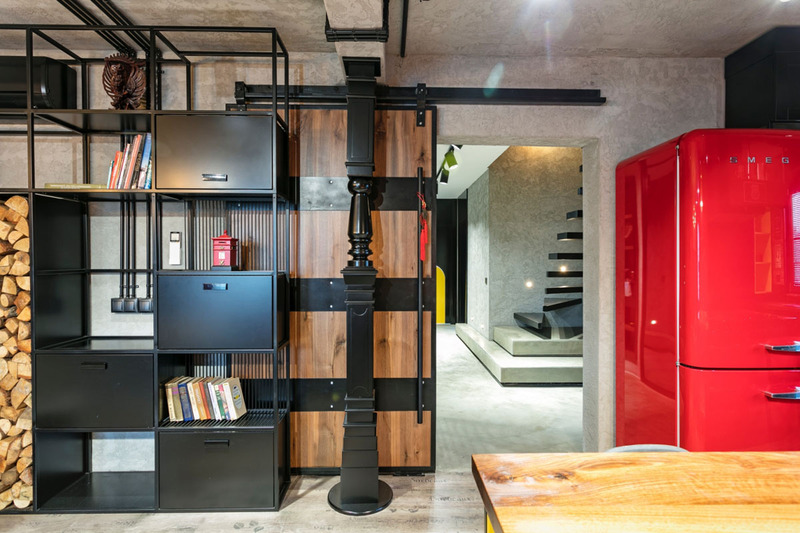 The stairway is often the focal point of a room. 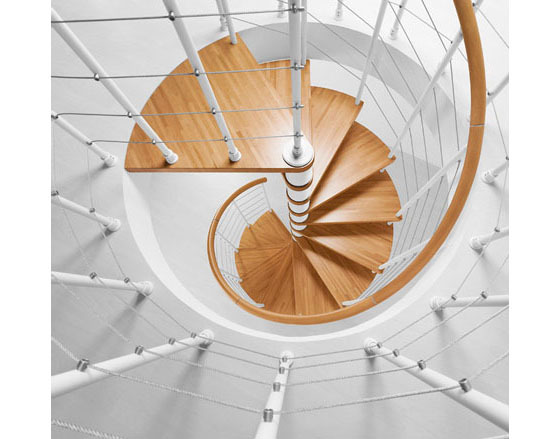 Italian company Albini & Fontanot uses industrial materials such as metal and zinc to achieve sophisticated result for the stair’s handrail. Steel cable is also used for support. 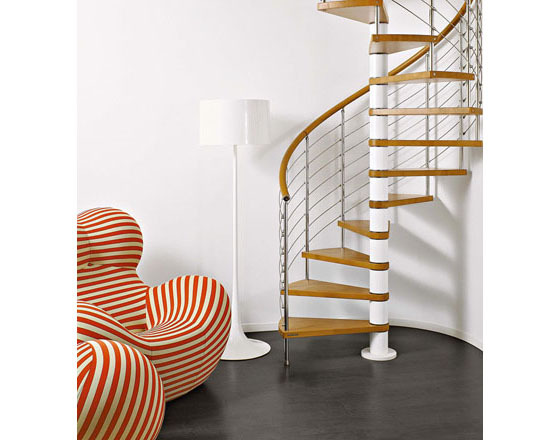 Solid wood steps complete the simple but elegant look of the spiral staircases.